Mark your calendars, because the The Barclay’s Sidewalk Sale is coming up on July 7th and 8th! 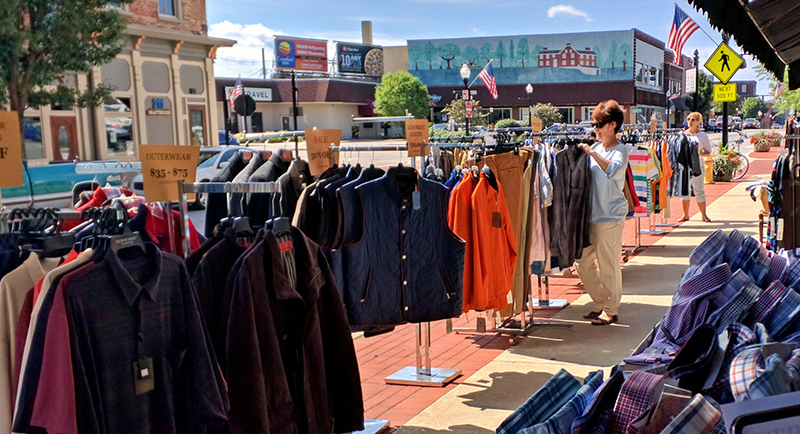 Head downtown to shop our best bargains of the year on things like women’s summer sports wear, new Vera Bradley, Tommy Bahama Jeans, men’s shoes…and more! 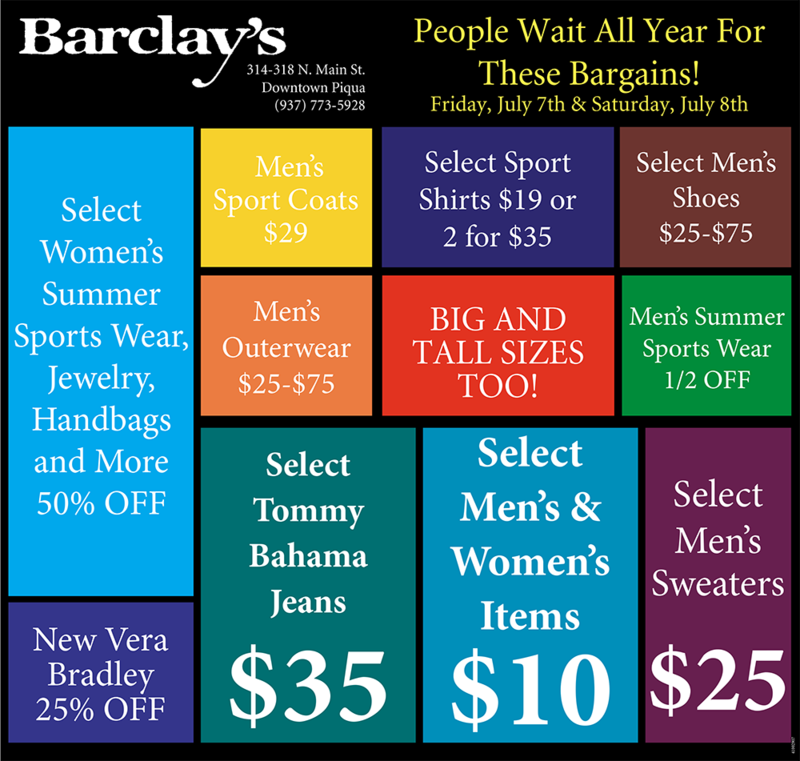 The Barclay’s Sidewalk Sale is going on this Friday, July 7th from 9:30 am – 7 pm, and Saturday July 8th from 9:30 am – 4 pm!